Malagos Garden Resort is a nature retreat for the whole family. 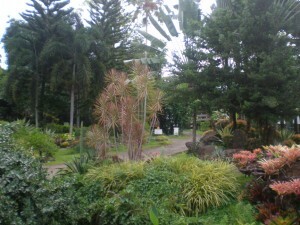 Located in the cool highlands of Malagos, Calinan, Davao City, the vast 12 hectare garden resort is home to many exotic flowers, fruit trees, a large collection of bird kinds and a host of other wildlife species. The resort offers Overnight rooms, Function and Seminar Rooms and Halls, Restaurants, Coffee shop and a pool for children. If you are a nature lover, they have landscaped gardens with different trees and flowers distributed around, Butterfly Sanctuary, verandas, Farm Animals area and my favorite, the Bird Park where you can see different kinds of exotic birds. In the Bird park, there are many kinds of birds that I haven’t seen before. 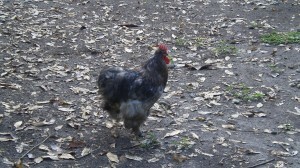 I was especially amused to see fat eye-catching chickens roaming freely around. There are colorful pheasants, wild ducks and those huge ostriches, among others. 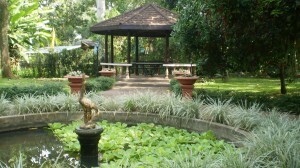 The resort features a Bird Show during the weekends and it hosts some sculpture of National Artist Napoleo Abueva. Truly an exciting and wonderful place to visit. Malagos Garden Resort is around 27 kilometers from the city center and 32 kilometers from the airport. It can be easily reached by Private or Public transportation. By Car. Travel Time from City Center 30 minutes – 45 minutes. a. Taxi. The taxi will bring you to Malagos Garden Resort. Travel Time from City Center 30 minutes – 45 minutes. b. Bus and L300 Vans. City Center to Calinan and Vice Versa. Leaves the Bankerohan terminal every 15 minutes. Travel Time approximately 45 minutes – 1 hour. The terminal for Annil Bus and L300 Vans are located at the corner of Quirino Avenue and San Pedro Extension, Bankerohan, Davao City (at the back of International Bank). It will also pass through SM City Davao, Roxas Avenue (Aldevinco Shopping Center/Marco Polo), Acacia (Madrazo Fruit Stand) and Quirino (Central Bank). c. Motorcycle. Calinan to Malagos Garden Resort and Vice Versa. 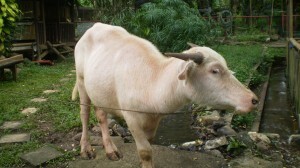 Travel Time 5 – 10 minutes.Upon arrival at Calinan, transfer to a Tricycle or Single Motorcycle.